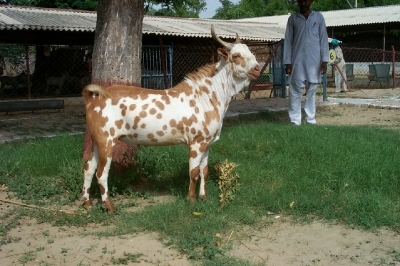 The Barbari Goat is one of the 20 classified breeds of goats found in India. They are primarily a meat-type breed, but considering the number of animals reported, it is urgent to undertake conservation measures. 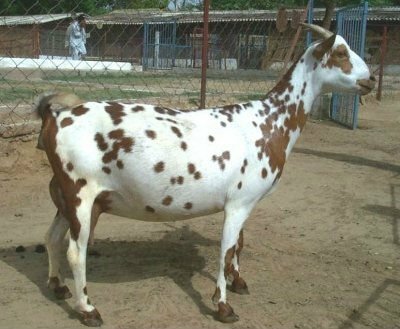 It has also been surveyed that, most male goats are castrated early in life (within 7 to 30 days), and fattened for slaughtering at religious festivals. However, these live resources have a general mortality rate. 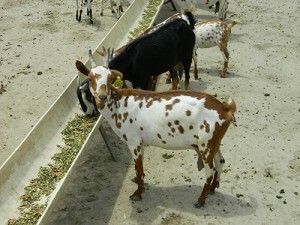 They are highly manageable, and can adapt themselves in stall-feeding condition. The Barbari goat, basically, originated in the east African country of Somalia. However, the route of their migration to India is yet not confirmed. 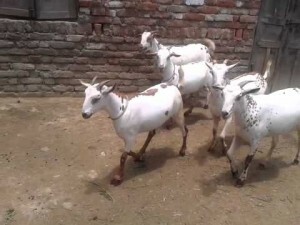 The experts have inferred that, there is a high probability that these animals have reached the country with the traders during the medieval period through the land and sea routes. 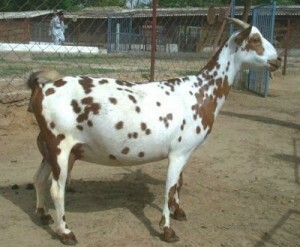 This breed is common in the farms of the arid and semi-arid regions of north and north-western India. 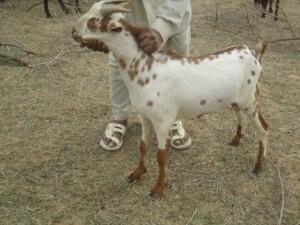 They have been adopted and extensively used in many Indian states under the respective goat development projects. Barbari goats are found in Uttar Pradesh, prevalently in the Mathura, Etah, Aligarh, Agra districts, Bharatpur in Rajasthan, also in some parts of Gujarat, and in Jhelum and Sargodha districts of the Punjab Province in Pakistan. On an average, a standard adult can yield a meat of 14.517 kg. A newborn kid can yield 1.739 kg, during weaning it is 6.661 kg. 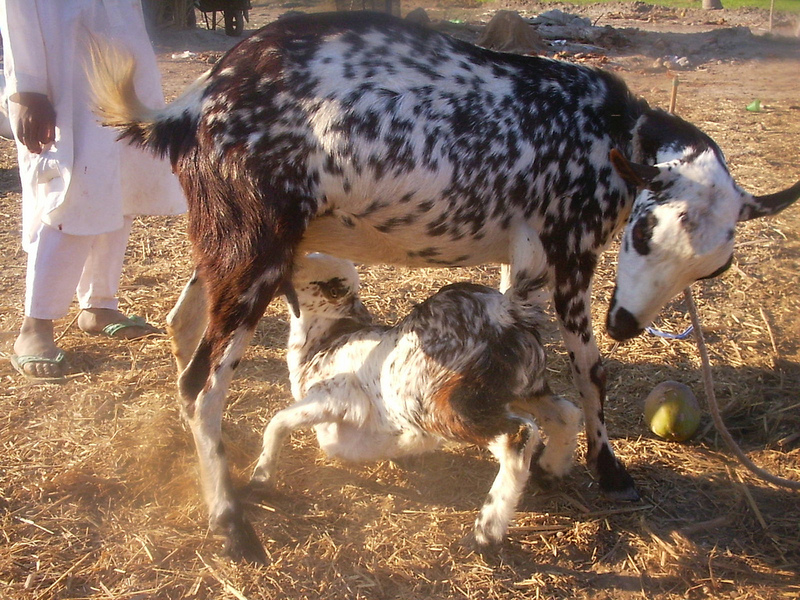 When they are 6 months of age, they can yield 7.800 kg, while at age 9 months it is 12.566. The quality of milk of the barbaris is not too high. The daily milk yield average is about 750 ml to 1000 ml. The average lactation may be 130-200 liters of milk in a lactation length of 150 days. The fat percentage is about 5. These goats are extremely productive, and characterized by early maturity and frequency in triple kidding. 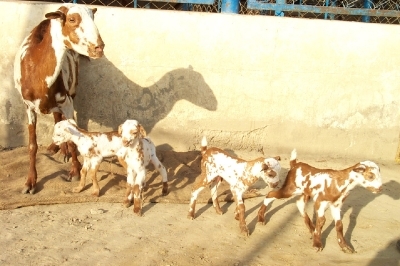 Females may kid twice in a period of 12-15 months. The chance of single kids in a litter is 25%, for twins – 65%, and for triplets – 10%. It is believed that these goats have derived their names from the place of its origin viz. 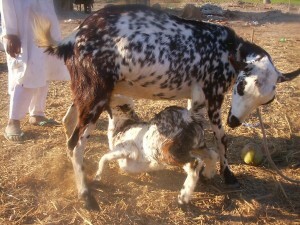 ‘Berbera’ in East Africa.